If you haven't checked out Twitch yet, it might be time to sign up for an account. 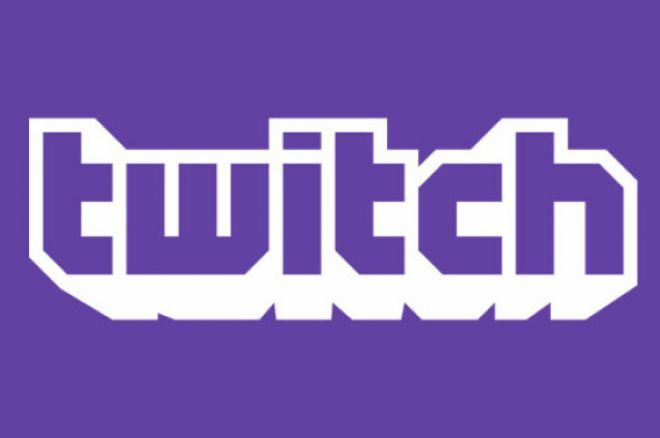 The Global Poker Index (GPI) has inked a deal with the popular video streaming platform Twitch, and intends to use it to improve the way you follow live poker events. "We want to be where the audience is," GPI owner Alex Dreyfus told PokerNews in an exclusive interview on Tuesday. "Our audience is online and on Twitch, and that's why we are going to use this great and innovative platform to bring our initiatives to a new public." With one month to go before the first edition of the GPI-powered Global Poker Masters (GPM) kicks off in Malta, while the island celebrates its first-ever European Poker Tour (EPT) festival, Dreyfus announced that months of hard negotiations led to Twitch's management believing in his project and signing an agreement to promote the event. "The Global Poker Masters will be broadcasted and promoted on Twitch in five different languages," Dreyfus announced. "This means that we will not only have the live stream of our event available in real-time on Twitch, but also that the GPM will be featured on the portal's homepage, making the event visible to an impressive amount of online users." Launched back in 2011 as a spin-off of the today defunct Justin.tv online service, Twitch is now a buzzing community where millions of e-sports and video game community members meet to stream their games and share their experiences with other players. "Twitch is not only a video platform, but also a lively community," Dreyfus continued. "During the GPM and the upcoming Global Poker League (GPL) we intend to use everything this service offers to promote an innovative and engaging poker experience." According to Dreyfus, one of the keys to convince the popular streaming video service to accept the challenge offered by the GPI and engage in the poker world has been the specificity of the events that his organization has set up in order to proceed with, what Dreyfus calls, "sportifying" of the game of poker. "I believe that GPI, with the GPM and the GPL, is creating the perfect bridge between e-sports and poker," Dreyfus said. "The team format and the sportified concept fit perfectly to Twitch's audience." "If you will visit Twitch.tv on March 21-22, you will find the live stream of the GPL available right from the site's homepage," Dreyfus continued. "It's going to be the first time ever that they do that about poker, and they decided to accept our offer and do it with the GPI and the Masters because we are not a classic poker tournament with an open buy-in. At Twitch, they have seen that our initiatives and their format can become the ideal bridge to fill the gap that today exist between poker and e-sports." Already well known and used by many online poker players, Twitch is home to some great poker-related content. On Feb. 2, Team PokerStars Pro Bertrand "ElkY" Grospellier announced his intention to stream a lot of his poker action through his newly-created personal channel, while earlier this year poker pro Jason Somerville expressed his positive opinion about how much a service like this one can contribute to the growth of the game. Considered to be accountable for around two percent of the entire traffic on the Internet globally — trailing only Netflix, Google, and Hulu — Twitch represents the ideal platform for the GPI to reach a brand new audience that, eventually, may get bitten by the poker bug. "Twitch and its 300 million visitors per month globally is definitively one of our key strategic partners for our new initiatives," Dreyfus went on. "We are excited to have the opportunity to work together and promote poker differently." "Over 80 percent of their visitors are 18 years old or older, and this means that you have 80 percent of 300 million visitors that are potentially interested in poker. During our event, we aim to reach between 300,000 to 1,000,000 viewers," Dreyfus estimated. "However, it would be OK with us also to record a lower number of viewers — we are in the middle of a learning process and we need this experience to learn how to do better things in the future." "The GPI aims to partner with disruptive and new digital partners," Dreyfus went on to say. "While the Internet changed everything in our life since 10 years, the way poker has been served to the media since 10 years hasn't changed. We have to be proactive and look for new channels and new platforms to reach new audiences." "We are going to offer the live stream with cards up and no delay for several different reasons," Dreyfus explained. "First, the first edition of the event will not be open to the public, so there will be no possibility for people to collude with someone not at the poker table. Then, the tournaments will be in a shot-clock format, which means that no one will have the time to play around with their mobile phone as they play." But this is not all, as Dreyfus said the real reason behind the choice to stream the action as it happens is that this will open the doors to live betting, something that he believes may change poker for good and add a great deal of excitement to the game. "We will stream with a 20- to 30-second delay at the maximum, and this is going to allow bookmakers to potentially accept live betting on the action," he said. Dreyfus is convinced that this could become a real game changer, stating, "To develop poker as well to allow it to go mainstream, we have to create more engagement, and one of the best ways to do it is through live betting." Twitch, however, is not going to be the only media out there to give visibility to the GPM. "The streaming will be also available on PokerStars.tv and many other sites," Dreyfus explained. "Sites such as PMU or Winamax will make it available in France, where the participation of Patrick Bruel will help us to bring some exposure in the mainstream media." The Global Poker Masters (GPM) is an invitational live poker team event that will be held at the Hilton Hotel in St. Julians, Malta, on on March 21-22, 2015. Created to become "the world cup for poker as a sport," the GPM is going to be a country-based poker championship, with the eight highest-ranked countries in the GPI (US, UK, Canada, Germany, Russia, France, Italy, Ukraine) and the top four players from each qualifying country — based on GPI Player of the Year points accumulated over a 12-month period — winning the chance to take a seat and play on behalf of their nation.